Convenience, durability and a large load capacity have made Nolan’s Tool and Supply Carts an industry standard. Taller handle reduces strain when transporting loads! 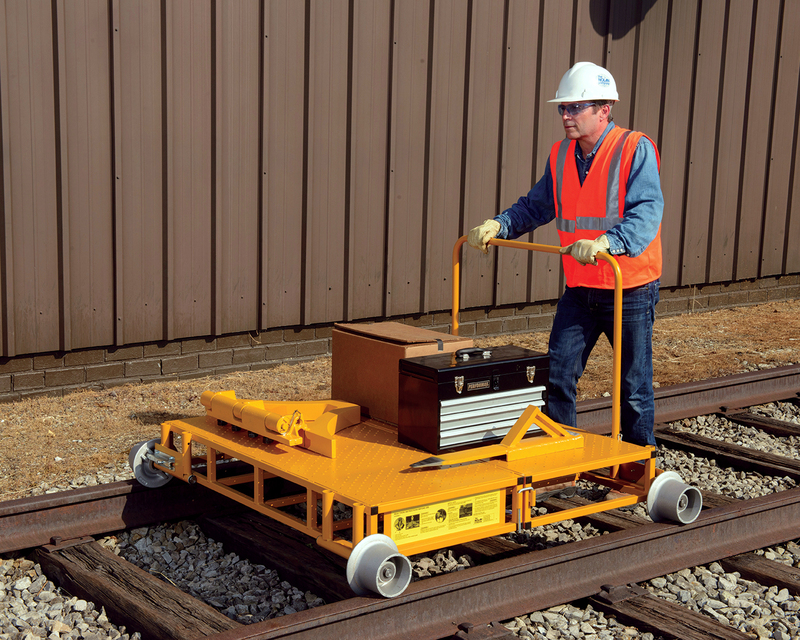 Both ends of the cart have parking brakes, providing stability and safety on track grades and during loading/unloading operations. TS-RK Repair Kit is available, which is usable with all Nolan tool and supply cart models. Nolan’s Latest Portable Derail — Covers 80-141 lb. Rail!